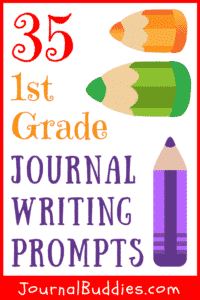 Fun and Easy Journal Prompt Ideas for First Graders—Enjoy this fantastic listing of 1st Grade Journaling Prompts. Use them, share them, and have fun with them. Above all, just be sure to get and keep you precious students writing in their journals this school year. I love to write about journaling tips, creative journaling, and journal writing techniques. I love journaling so much that some years ago I wrote and published two kids journals. Writing in a journal is one of my very favorite activities, and I hope it is one of yours and your student’s favorite activities, too. Personally, I am rarely at a loss for something to write about in my journal. But, that is not the case for everyone. Some people need some help getting started writing in their journals. If this is the case for you or your students, then scroll down the page to discover some magnificent journal writing prompts for kids. 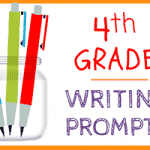 I am always adding posts of new and existing journaling prompts and invite you to take a look around my website to discover more journaling ideas and journal writing prompts for kids. 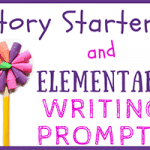 And if you haven’t discovered them already, check out our fabulous listing of writing prompts for kids of all ages! 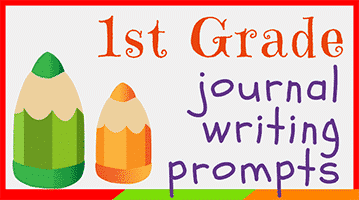 I hope your student’s journaling adventures are filled with joy, fun, and creativity. What is your favorite time of day? Explain why? If toys could talk what would they say? Tell about one thing you do really well? Insects, insects everywhere!!! Describe what you see! This is how I think plants grow. Describe your best day ever? What does a super-fun day look like to you? I want to be a ________ when I grow up. Let’s go _______________. Describe your adventure in detail. What would you do if you were in the middle of the ocean and your boat springs a leak? One of the benefits of writing in a journal is the development of strong written communication skills. This is a stepping stone for your child’s success in the future especially during middle school and high school. I’m certain you know that strong communication skills are essential to a successful life. 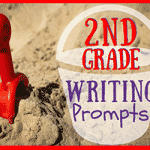 Through writing, you are encouraging your child to explore the corners of his or her mind. 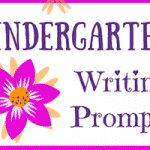 Your child may discover a talent such as writing poetry or stories. Children have imaginative minds which they can use to write about interesting topics and insightful “stuff” from their lives. Writing can also improve grammar and spelling. With regular practice, your child will learn the correct way to compose and construct sentences, paragraphs, and compositions. You might also want to consider encouraging your child to write creatively (starting at a young age if possible). 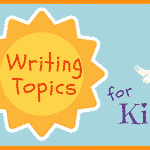 Doing so will improve your child’s communication skills and writing abilities as well. Another benefit of journal writing is that it improves the reading skills of your child. 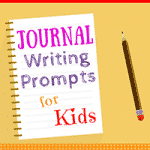 Journal writing also gives a sense of freedom to your child since she can write about anything that is on her mind. As you can see, there are many wonderful benefits to journaling that will benefit your precious child so be sure to make this activity a regular part of life and remember to fit journal keeping in at least two times per week (more if you can! ).